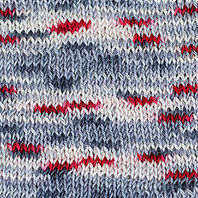 SILKWORMS, Photography © Linda N. Cortright, Wild Fibers Magazine, Spring 2010. Silk fiber is the protein excretion of silkworms, spiders, or other insects. It is used by them to build their cocoons, webs, etc. The silk's amino acids composition is close to that of human skin. Pure silk is time-resistant, smooth unlike wool or cotton, hygienic, non-allergenic. As all luxury fibers, it is produced in very small quantities (less than 0.2% of overall textile fiber production). In general, silk fiber can be divided in two categories: domesticated and wild. Domesticated silk is produced by the Bombix mori moths, which feed on mulberry trees. Wild silk is usually considered as the excretion of an Antheraea moth fed on oak and other trees. India is the wold's largest producer of wild silk. According to Confucius, the discovery of silk goes back to 2640 BC: "A Chinese princess was drinking tea in a mulberry garden when a cocoon dropped into her cup. The hot tea dissolved the hard outer layer of the cocoon. In trying to extract it with her long fingernails, she discovered that the cocoon contained a continuous filament." - Reference: Robert R. Franck, "Silk, Mohair, Cashmere and Other Luxury Fibres". Silk production, or Sericulture, has a long and colorful history unknown to most people. Pliny, the Roman historian, wrote in his Natural History in 70 BC: "Silk was obtained by removing the down from the leaves with the help of water." The first description of silk making in Europe was printed in the 35 volumes of Denis Diderot's Encyclopédie. For more than two thousand years the Chinese kept the secret of silk - it was the most zealously guarded secret in world history. The key to understanding the great mystery and magic of silk, lies with one species: the blind, flightless moth, Bombyx mori. The silkworm of this particular moth produces a thread whose filament is smoother, finer and rounder than that of other silk moths. Today, a single silk cocoon can yield up to 1600 m of continuous filament (from 100 to 150 m - in ancient times). 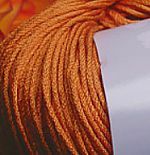 Silk yarn can be either releed or spun. 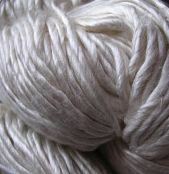 Reeled silk, or filament silk, is the highest quality yarn, it is very white and shiny. • Tussah (Tassar) Silk is a thread from wild silkworms. There are many indigenous varieties of wild silk moths found in a number of different countries. Whether or not they are reared in the tropics, the leaves they eat contain tannin - the ingredient in tea that leaves a stain in your cup. 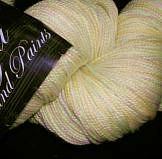 The natural colour of Tussah silk is a warm honey beige, and "..silk produced by wild silkworms is stronger than steel..". Tussah is a coarse silk, and is mainly used for furnishings and interiors. Oak Tasar is a finer variety of Tussah silk. • Golden Muga or Assam silk production is centered in Sualkuchi, and is a labor intensive industry. The detailed information about Muga and Eri Silks, including history and step-by-step production, is available in Fall 2009 issues of Wild Fibers Magazine. There are also Pat Silk, Spider Silk or Gossamer, Thai silk, Anjali Silk, Ghicha Silk, Katie Silk, Kosa silk, Rajshahi silk, etc. Art silks or " fake silks" are used in mass knitwear and yarn production: viscose, tencel, rayon and other varieties. FYI Silkworms can live and feed only on chemical-free mulberry trees. If silkworms ate leaves from the mulberries, which have been treated with agricultural chemicals, they die.